Good people make us better. We are so grateful for our board of advisors. They listen, question, contribute and act as devil’s advocate. They make us better. Our advisors are leaders who represent civic organizations of all types and bring a broad range of perspectives, skills and backgrounds to the table. We tap this team for their wisdom and diverse networks. Serving as the executive director of the Nonprofits Assistance Fund, Kate Barr is well connected to successful and growing nonprofits. She knows “mission and money” and has led her organization to become a premier resource to nonprofits in Minnesota and beyond. She specializes in strategic and business planning, development, external relations and public policy. An expert on nonprofit trends and strategies, Kate shares her wisdom through teaching, speaking, writing and a popular blog. Kate also serves as a board member of the Jerome Foundation, Camargo Foundation, Borealis Philanthropy and chairs the audit committee for the Cultural Data Project. With a lifetime of leadership and community building under her belt, Rebecca Driscoll retired in 2013 as a principal of KeyStone Search. She recruited leaders for some of the largest nonprofits in Minnesota. She served as the executive director of the Minneapolis Community Development Agency—with a staff of 164 and an annual budget of $130 million—and commissioner of the Department of Trade and Economic Development. She also ran for U.S. Senate in 2000. Rebecca has served on boards for the YWCA of Minneapolis, Artspace Projects, The Cowles Center, the Carlson School of Management, Womenwinning, the Jeremiah Program and the Minnesota Women’s Economic Roundtable. Rural issues matter for Brad Finstad. Currently he’s the president/CEO of the Center for Rural Policy and Development. He also served three terms in the Minnesota legislature representing a rural district. Brad’s rural perspective went as far as Washington, D.C., when he served as the agriculture and rural policy advisor for former Congressman Mark Kennedy. Brad has been involved with a number of agricultural and rural organizations, including the Minnesota Corn Growers Association, the Minnesota Farm Bureau Federation, the Minnesota Pork Producers, the Minnesota Soybean Growers Association and the Minnesota Association of Cooperatives. He currently serves on boards for the New Ulm Area Catholic Schools, Minnesota Twins Community Fund and First Choice Pregnancy Services. 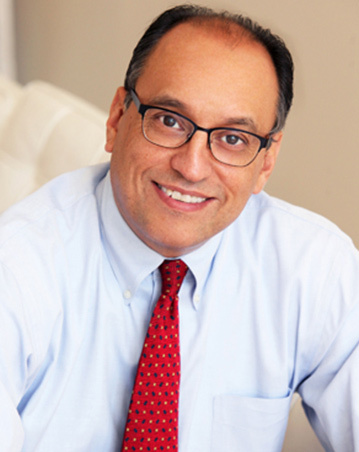 With more than 25 years of experience, Michael Rodriguez Goodson is a human resources pro. He knows talent management, compensation, incentive systems, talent acquisition, and employee and labor relations. He’s put those skills to work across multiple industries, including 12 years with IBM, 10 years with St. Paul Companies / Travelers Insurance, six years with Supervalu and in 2014 he joined St. Olaf College as Vice President, Human Resources. He’s served on boards for the American Red Cross of Minnesota and Comunidades Latinas Unidas en Servicio (CLUES). Helping nonprofits and creating real social change is Trista Harris’ passion. She’s the president of the Minnesota Council on Foundations, a vibrant community of grantmakers that award more than $1 billion annually in grants. Previously she served as the executive director of the Headwaters Foundation for Justice and program officer at Minnesota Philanthropy Partners. Trista is the co-author of How to Become a Nonprofit Rockstar and writes her own blog, New Voices of Philanthropy. Her work has been featured by The New York Times, CNN, The Chronicle of Philanthropy, Minneapolis St. Paul Business Journal, Career Builder and more. Trista was also recognized as a "40 under 40" by The Chronicle of Philanthropy in their first-ever list in 2016. Phil McKoy does technology. He’s the chief information officer for UnitedHealthcare. He’s responsible for creating, leading and executing UnitedHealthcare's strategic technology roadmaps & investments. Previously, Phil put his tech know-how to work for Aimia, Target and Accenture. He’s done technology across multiple industries, including retail, healthcare, utilities and professional services. Phil is the past board chair for the Minnesota Children’s Museum and on the board of the Rêve Academy. He’s also on the board of advisors for Aisle411, the leading indoor location services platform for major retailers. A champion of bringing people, charitable resources and ideas together to spark positive community change, Sandra Vargas does good for the community. She served as President and CEO of The Minneapolis Foundation from 2007 to June 2016. Previously she was Hennepin County Administrator, the top executive position in Hennepin County government. Sandy serves on the local boards of St. Catherine University, the Downtown Council, and Wallin Education Partnership. She also is an active member of the national boards of Independent Sector, 50CAN, and Hispanics in Philanthropy. She received a Bush Fellowship from the Bush Foundation to attain her MPA from Harvard’s John F. Kennedy School of Government.